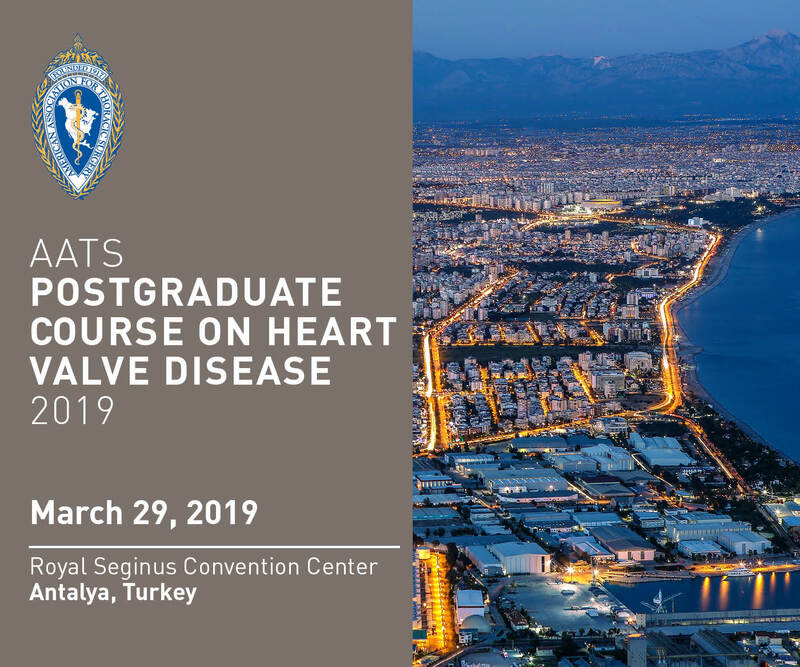 The American Association for Thoracic Surgery and the Heart and Health Foundation of Turkey are partnering on a one-day AATS Post Graduate Course on Heart Valve Disease that will address the rapid advances in the treatment of valvular heart disease. This course will bring together cardiologists and surgeons in a cooperative, care-based course to be held on March 29, 2019, during the 15th International Congress of Update in Cardiology and Cardiovascular Surgery in Antalya, Turkey. A renowned faculty on the cutting edge of valvular heart disease management will lead interactive sessions for the entire care team that will focus on practical decision making. Attendees will be active participants in discussions, debates and potential controversies surrounding real-world cases. ~Course Directors: Duke E. Cameron, MD and Vaughn A. Starnes, M.D.